Humans have a habit of planning everything. We try to make sure that we are prepared for everything that destiny puts on our plate. And, the best way to do this is to know beforehand about the events that would happen in our life and this can be done through Astrology. With the help of Astrology, we can get our tomorrow horoscope, the predictions about the events, which will be happening in our life. This horoscope will be predicted on the basis of zodiac cycle and lets us know about the about various things – What problems will we be facing in the coming future? What is to be expected in office or business? How will things turn in our personal and professional relations? What should we do to escape the troubles? Astrology is a branch of cosmic science through which one can predict what is in store for him in the coming future. Everything, good or bad, can be predicted through Astrology. It is composed of 12 zodiac signs and 5 planets (Mercury, Venus, Jupiter, Mars and Saturn), two Luminaries (Sun and Moon) and two shadow planets (Rahu and Ketu). The tomorrow horoscope predictions are known as Sun Sign astrology and are one of the most common forms, which are used to predict your future. In this, your date of birth is considered which helps in categorising you based on your zodiac sign, which further helps you know your predictions for the next day. With the help of your zodiac cycle, you can predict your present, past and future. Not only this, various aspects of life like career, marriage, business, finances, wealth, health, relationships, love and much more can be predicted with your horoscope. However, Astrology is a vast science, which needs deep understanding and knowledge for accurate predictions. This is why it is important to get your future predicted by an expert astrologer. 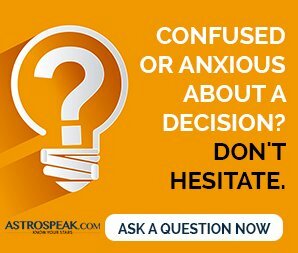 So, if you are looking forward to know your tomorrow horoscope or predictions based on your horoscope, visit Astrospeak.com.